It didn't seem like a great moment at the time. 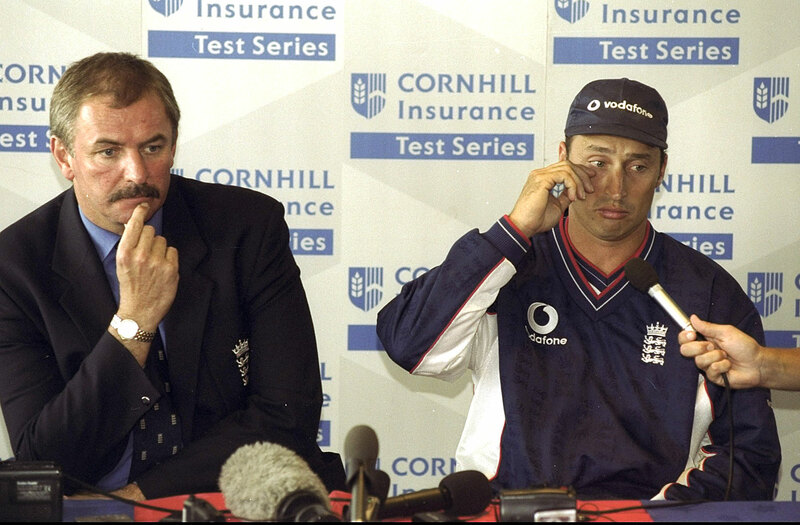 Least of all for the England captain, Nasser Hussain. But it changed everything. It was the moment that turned England from a really bad team to a pretty good one, and it was a kind of miracle. 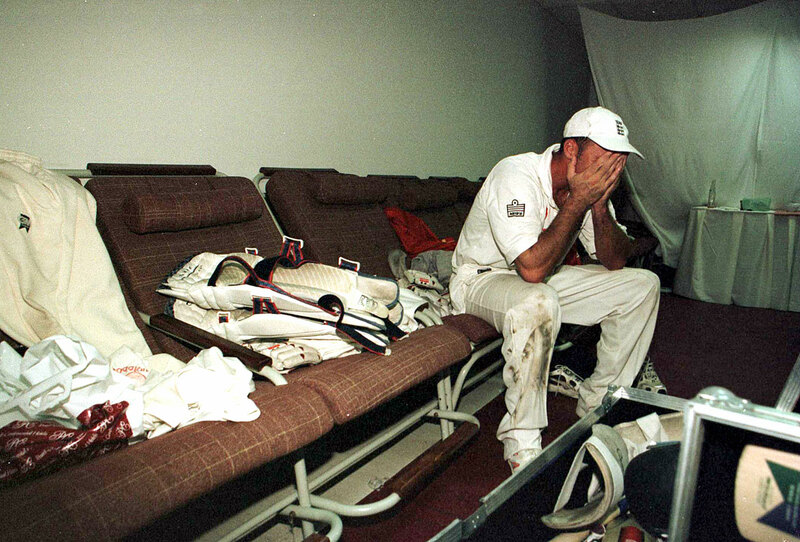 The moment came at the end of the Test series between England and New Zealand in 1999. England had just completed one of their traditional here-we-go-again collapses, losing their last eight wickets for 39 runs when the match and the series were there for the taking. That summer England had already made a bog of a home World Cup, and that had cost Alec Stewart the captaincy. Hussain was completing his first series in charge, going through the interviews on the balcony at The Oval. "I'm proud of the lads… they did everything I had asked them for." Boo! Boo! What a load of rubbish! The England fans turned on the captain. England were now ninth and bottom in the unofficial Wisden Test rankings. Enough. Hussain was shaken when he went to the press conference. He was hurt, he said. But the booing was understandable. "We have a hell of a lot of desire." It wasn't that the players were bad, or that they didn't care, or that they were spineless. The system they operated in was broken. England was no longer capable of producing good cricket teams. But the players - especially the captain - were prepared to do anything to get better. That left the big question hanging in the air. Did the people who ran the English game feel the same way? Or would the usual provincial vested interests win the day? Don't rock the boat, let's hear it for mediocrity, and not too much tonic in mine. Hussain's success as a cricketer came from a terrible anger. He was never much of a batsman, he just scored lots of runs. He had to. He had been a boy legspinner who lost the knack when he got tall. He converted to a batsman because there was no other option, and batted like a driven man. The booing on the balcony got into his blood. It became a constant reproach and a constant goad. It inspired an urgent and desperate need to lead an England team that could actually play, that could actually win matches, that could command respect from the opposition and their own supporters. His goal was to kill the gallows humour that surrounded English cricket and that was a staple of national life. He wanted a culture of well-directed hard work, marrow-deep commitment and the ability to win. I often wonder what would have happened if England had failed to collapse on that pivotal day at The Oval. If they had only been quite bad, if they had only been fairly terrible, if they had not quite been the lowest of the low, then perhaps no changes would have come about. But the booing of Hussain went into the national soul. There's a scene in the film Network in which the mad newscaster, played by Peter Finch, asks the citizens of America to open their windows and shout to the street and the world: "I'm mad as hell - and I'm not going to take it anymore." That was what happened to England cricket that day. And glory be, England's administrators actually listened. This disaster of The Oval gave Lord MacLaurin, the man in charge, the licence to bulldoze revolution through the obdurate committees. The booing had deprived them of a leg to stand on. England appointed Duncan Fletcher, a Zimbabwean, as coach, and even more significantly, contracted the players to the England team. No longer would the fast bowlers turn up to a Test match knackered after bowling 30 overs the day before in a county game. The ancient traditions of playing for your place and every man for himself were abandoned. It was now England first, everything else nowhere. The greater job security meant that it was now team-team-team all the way. Under Hussain's captaincy England won four successive Test series and reached the impossible height of No. 3 in the newly established ICC rankings. The anger of Hussain, the calmness of Fletcher, and the jewel of central contracts changed the national landscape, and with it, the aspirations of English cricket. Six years after the booing, the next England captain, Michael Vaughan was on the same balcony celebrating an Ashes victory. In 2011, England were briefly No. 1 in the rankings. The booing of Hussain doesn't make my collection for purely patriotic reasons. It's a classic example of the inspirational nature of failure - the more abject the failure, the greater the potential for inspiration. Hussain is the alchemist who turned failure into gold. The catalyst for this transformation was a chorus of boos. Does it matter who captains England?